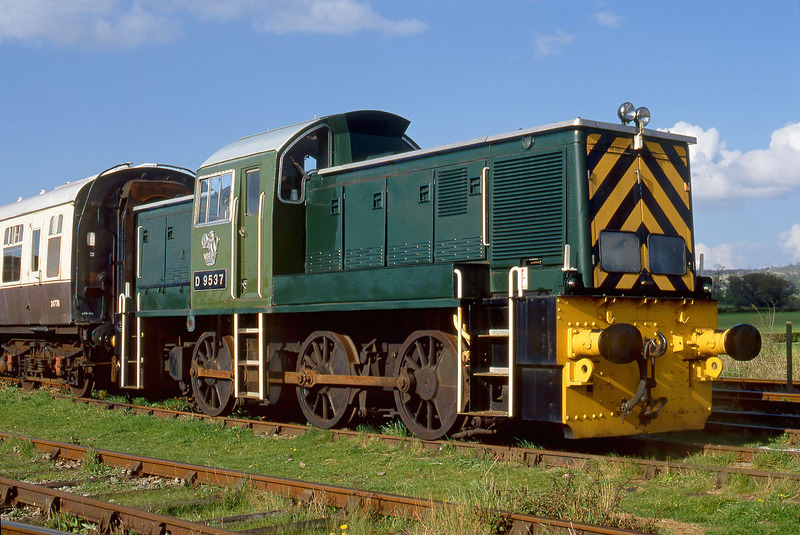 D9537 sits in the sunshine at Toddington on the Gloucestershire Warwickshire Railway on 23 April 1994. D9537 had a ridiculously short life with BR, spending less than three years in traffic, initially at Cardiff Canton and latterly at Hull Dairycoates. It did however have a more successful career as an industrial loco before arriving for preservation at the GWR as one of the line's earliest acquisitions in 1982. It has since moved to a private site in Lincolnshire.